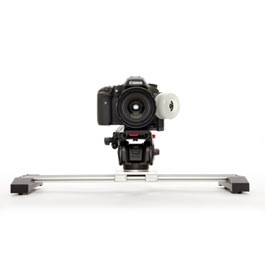 The Glidetrack SD is the original slider that we designed and built, and is still one of our best sellers to date. Priced competitively and with a range of lengths to choose from, the SD offers a complete package perfect for beginners and pros with lighter rigs. The SD was designed and tailor-made for the new generation of video capable DSLR’s as well as smaller prosumer camcorders. As with all Glidetracks, the SD is made to the highest build quality possible with the best components available. Built to last with a guarantee of quality, you can be sure that the SD will meet and go above your expectations.